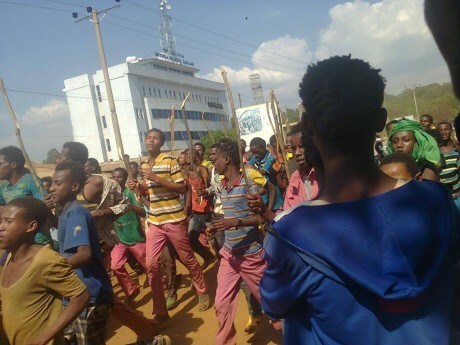 Addis Ababa — On Wednesday, Nov. 25, 2015, young Oromo protesters demanding a halt to Addis Ababa Integrated Regional Development plan, also known as Addis Ababa Master Plan, swarmed Ambo and Mendi towns, located in the western parts of Ethiopia. 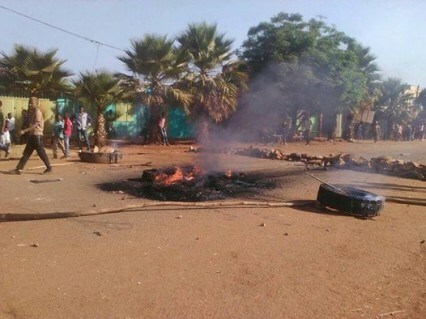 According to social media updates, roads were blocked by burning tires and rocks in Mendi, a town located 350 miles to the west of Addis Ababa, in Oromia Regional State. Similar protests were happening in Ambo town, located 78 miles to the west of Addis Ababa. More than two dozens of students and residents of this town were killed by Ethiopian security forces in 2014 when they protested against the same project. The protesters and critics of the plan point to its unconstitutionality and unfair compensation of the displaced. As we previously reported, Addis Ababa Integrated Regional Development plan ruined lives in its path. As of the time of this publication, there were no fatalities reported even though some social media activists are posting images of injured young men. To add insult to the injury, Ethiopia is battling one of the worst food crisis in decades. The “fifth-fastest” growing economy might just be all hat no cattle, even worse; the cowboy boots are not fitting. In the aftermath of international media’s praise for Ethiopia’s “remarkable” economic growth, the worst famine since the ‘80s hit the nation.